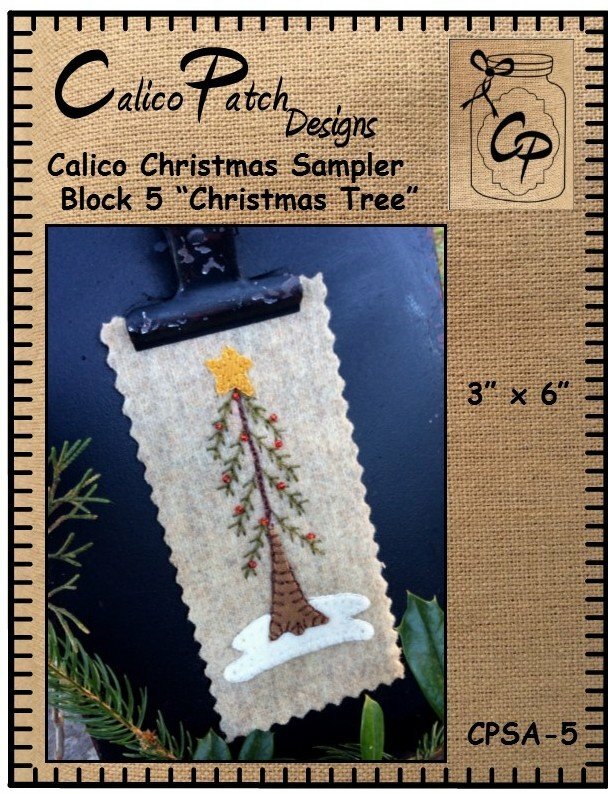 Block 5 of Calico Christmas Sampler. 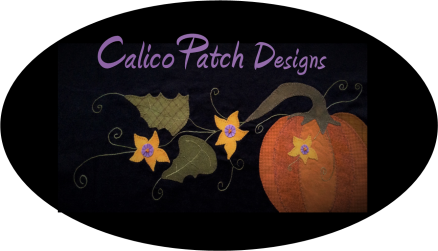 This wool Stitch Along is a fun project. Block five of seven is a stitched tree featuring wool applique and Valdani 12 wt Pearl Cotton.